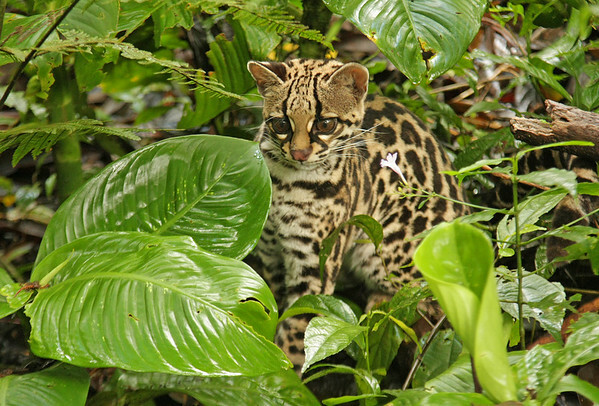 The Margay spends most of its life in trees. It is the most accomplished climber of the wild cats because its ankle joints allow it to rotate its feet 180 degrees and it moves around treetops (can walk down a tree trunk just as it walked up) with the ease of a squirrel. Taken in the wild of Arenal Volcano Natl Park.